**NOTE: using the search above will only yield results for Ford Trucks 1948-1979 in our eStore. To search through online catalogs for parts applicable to other vehicles, please click here. Most of our Truck inventory is now in our eStore, along with some Mustang and Ford & Mercury Full Size Car inventory. If you cannot find what you need, please give us a call and we'll be happy to get you exactly what you're looking for. We are adding hundreds of items weekly so check with us periodically for updated inventory. Would you like to be notified of new inventory as it is added? Please click here. Thank you. These aluminum strip and oak wood bed kits will have you installing your new wood bed in no time. 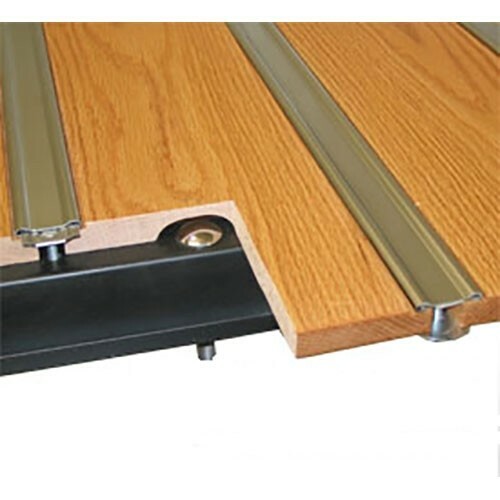 It includes the bed wood boards with mounting holes drilled, bed strips, and the bolts, nuts, washers and lock-washers you need to install the wood and strips in your truck. The wood is made from Appalachian red oak and is hand selected for quality. This aluminum bed strip kit also includes special stainless hidden fasteners to install the bed strips and the wood to the frame. Bed wood to bed side bolts are also included with each kit. Long Styleside wood boards do not have the edge board cut outs. Special Notes: Long Styleside wood boards do not have the edge board cut outs. Special Shipping: Shipped via truck freight. Freight charges for this item will be quoted when order is invoiced.